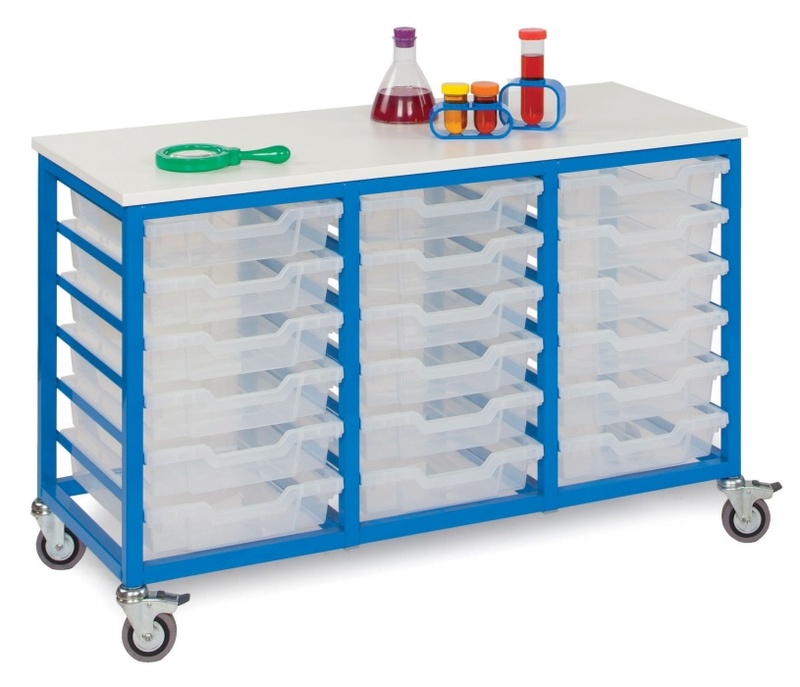 Shallow tray storage unit with a strong steel frame in a choice of seven vibrant colours. Comes complete with 18 shallow Gratnell trays in Clear finish as standard with other colours available on request. Comes assembled and ready to use.